I can’t believe I’m saying this… we’ve reached the fourth quarter of 2018. WHAT?! I know, I hear you. I feel like 2018 passed us by in the blink of an eye. But then I pause for a minute. And I remind myself that I still have over 2 months to go before we ring in the new year. And you know what? We can do a lot of incredible things in 2 months. 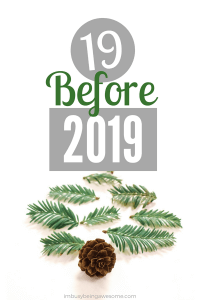 In the I’m Busy Being Awesome Facebook group last week, one of our awesome members, Deb, shared that she’s doing a 19 before 2019 challenge. What’s 19 before 2019, you ask? Well, let me tell you! 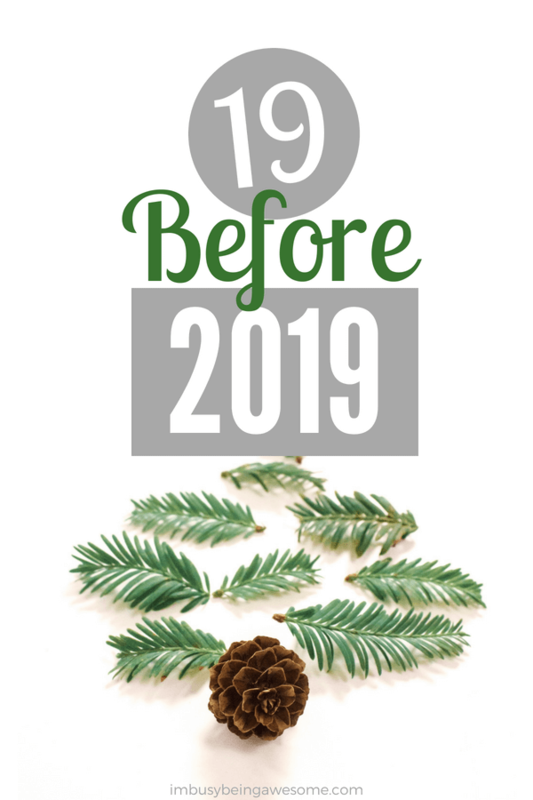 It is Deb’s brilliant idea to tackle a list of 19 goals – big or small – before 2019 begins. Let me tell you; I love this challenge. 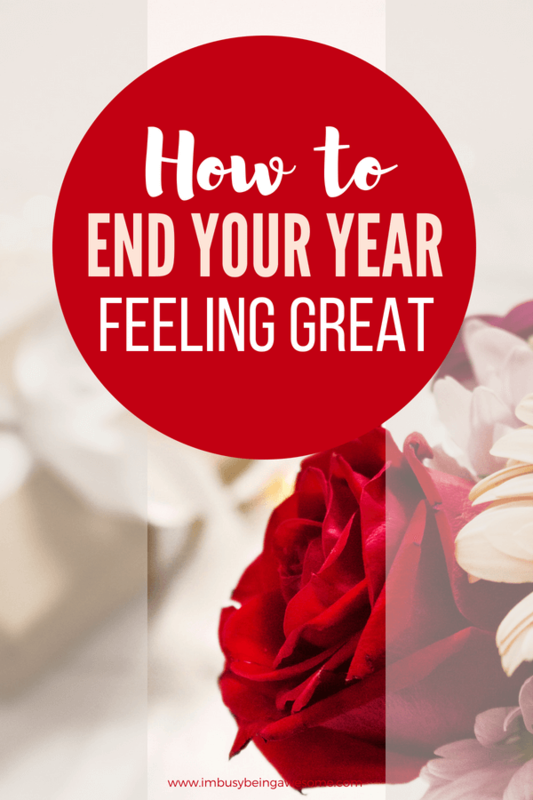 Not only is it a great way to complete your year with a feeling of accomplishment, but it also, as Deb explains, puts you in the right mindset to keep slaying your goals in 2019. So if you’re ready to close out your year with a bang, then keep on reading. 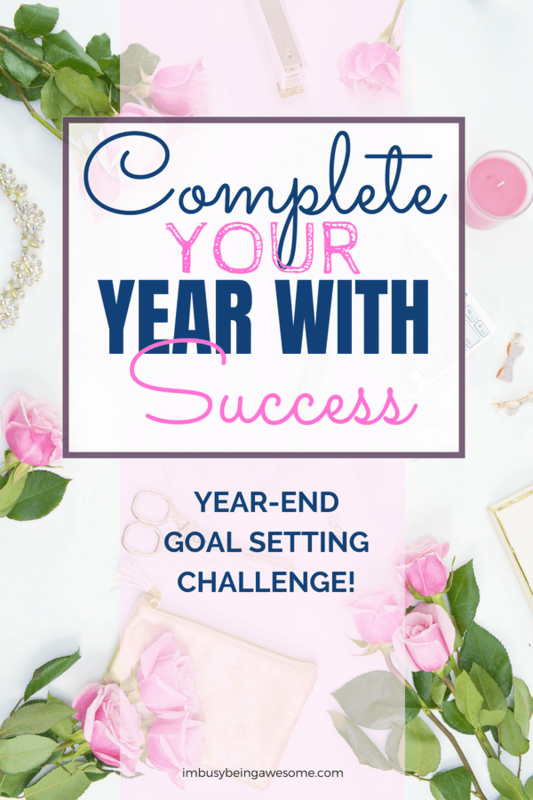 You will learn all about the 19 for 2019 challenge and how you can start slaying your fourth quarter goals today! What fourth quarter goals should I set for 19 before 2019? 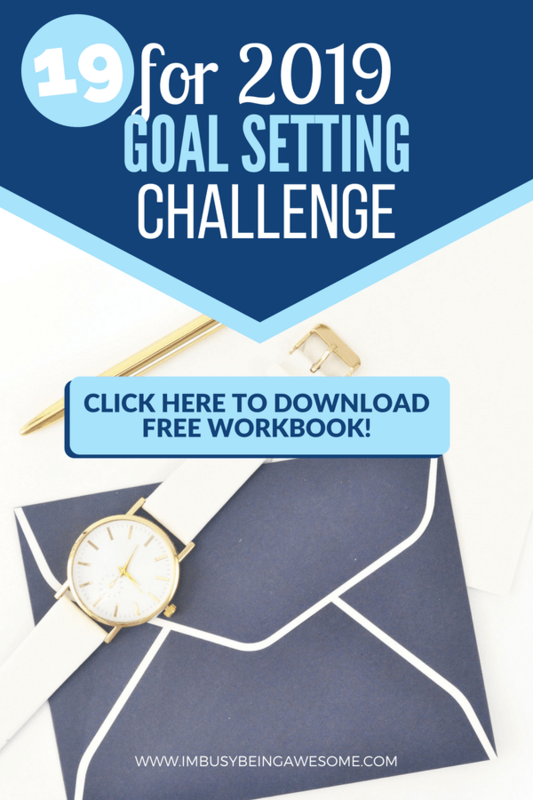 What kind of goals should you set for the challenge? The beautiful thing is this: it’s completely up to you. With that being said, I do have a few recommendations to make your challenge a success. 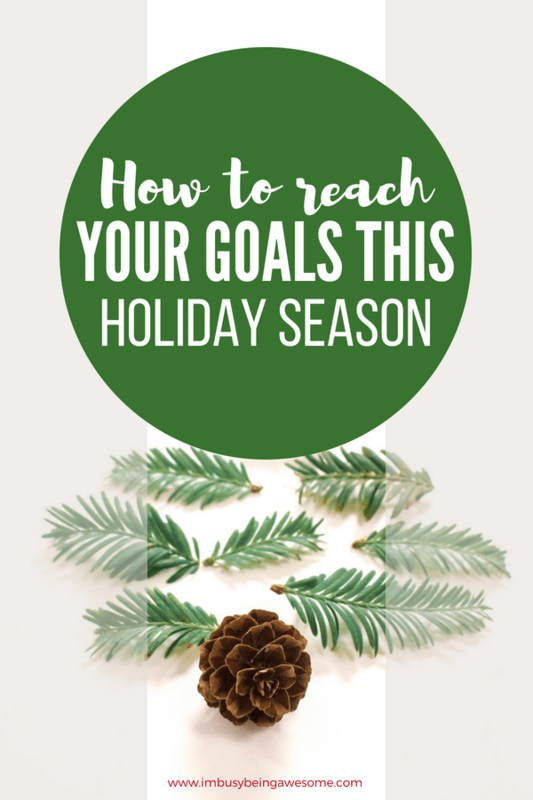 Remember, you need to complete your 19 goals before December 31. 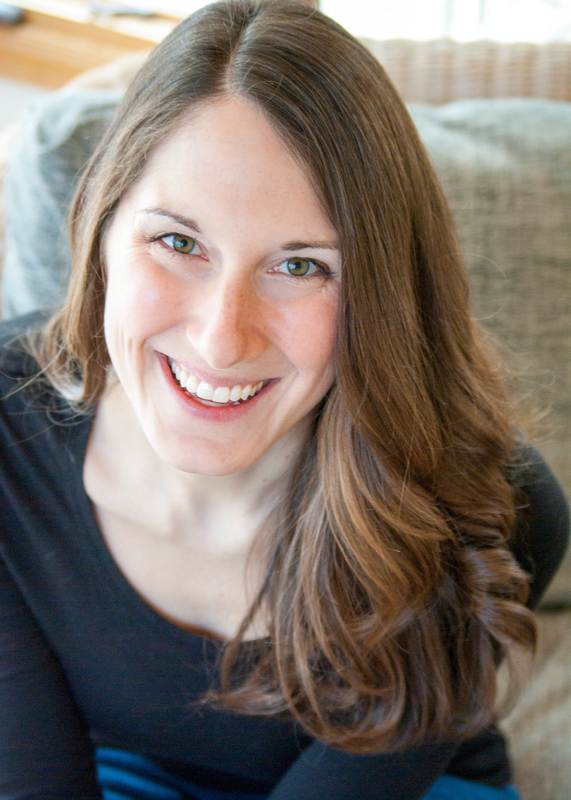 Don’t set yourself up for overwhelm by biting off more than you can chew. As you will see in my list below, I have a mix of both big and small goals; this helps me maintain my motivation because I can balance quick gratification with longer-term projects. 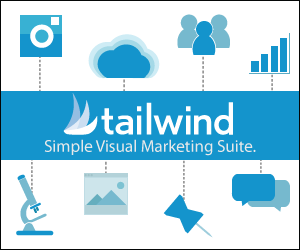 Do you have some MAJOR goals that you cannot realistically complete in the next 2 months? No problem; in fact, that’s great! Write them down and keep them safe. I’ll be launching 19 for 2019 in January, and your bigger goals will be PERFECT for that next challenge. To complete 19 goals before December 31, you must be mindful of your time. To avoid procrastination, set end-dates for your goals throughout the next several weeks. As you can see in my list of 19 goals below, several have deadlines, which helps keep me accountable and on track for success. Remember, someday is not a day of the week. By giving your goals specific due dates, you’ll increase success rate ten-fold. 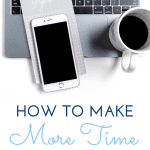 To help organize your fourth quarter goals, I created a free 19 for 2019 planner; you can snag it there! Use the list to record your goals and the calendars to map them out. Remember, this challenge is not meant to be a burden. On the contrary, it should be a FUN way to wrap up your year. Make sure you incorporate enjoyable activities into your list as well. That way, you can look back to the end of 2018 with great memories and a feeling of accomplishment. You get the best of both worlds! Need an extra boost of motivation to plow through your 19 before 2019? Then join the I’m Busy Being Awesome Facebook group! We will have weekly check-ins leading up to 2019 to hold ourselves accountable and cheer each other on. What are you waiting for? Join here now! Do something “holiday” related with Ryan: see a play, a Christmas concert, etc. Alright, friend. 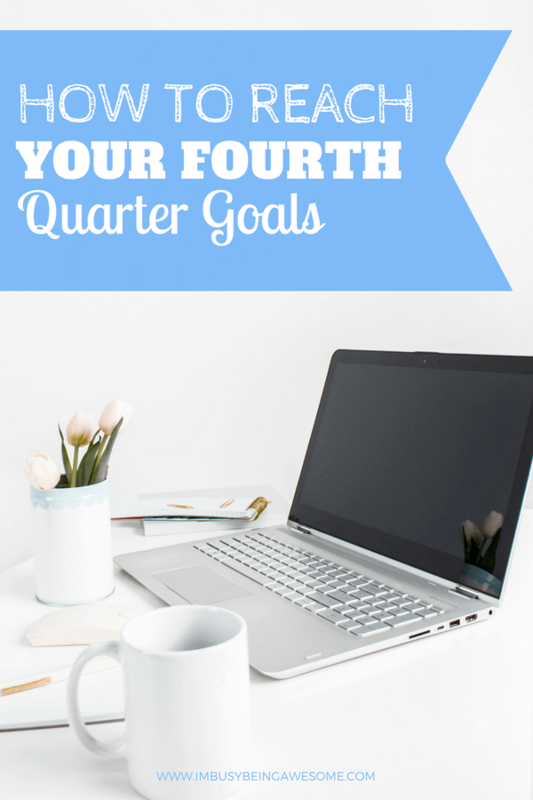 Are you ready to slay your fourth quarter goals? GREAT! Grab your free 19 before 2019 planner here. 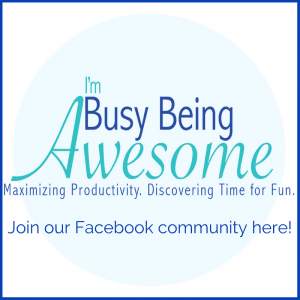 Then, join the I’m Busy Being Awesome Facebook group, and dive in! What’s on your list? Do you like to set goals? How do you stay motivated? Will you be joining us for the 19 before 2019 challenge? Let me know below! What a brilliant idea! I’m totally doing this. Starting my list now. Thanks for the inspiration! Good luck with your goals! I feel like my year has been a blur, but I appreciate the tasks and goals to finish strong in 2018 and head into 2019 stronger. It is always good to have goals and seeing how I am a task driven person I appreciate a good goal list. Thanks for the incentive and accountability! Absolutely! And I hear you; 2018 flew by, didn’t it? I absolutely love this! I have so many thing I want to do before 2019 but having a list, written down will definitely help me! Thanks! Absolutely! I’m so glad to hear it 🙂 Sometimes writing things down is just the motivation we need! I can’t believe this is the 4th quarter! Your goals seem realistic but a lot. I also don’t know what your productivity level is like. This is a great challenge! You’ve definitely inspired me to create my own list! What a great challenge. Definitely inspires me to create my own list! I love this post and this challenge! Decluttering and holiday shopping are definitely on my list too but I don’t know if I will have it done as soon as you! I think I am going to make a 19 before 19 list as well! Hooray! I love to hear that. It always feels so good to get rid of the excess clutter, doesn’t it? I love the idea of keeping a list of both big and small goals to encourage motivation! Great tip I will be using it for sure! Oh, this post is just what I needed!!!! 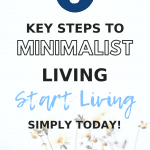 This post will definitely help achieve my goals…I was stressed about that so thank you for this post! I love this idea! 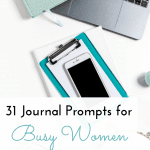 I am a big list maker too when I’m trying to get myself organized and focused. I like how accomplished it makes me feel to check off items as I go along. I am totally going to make my own list! Goal setting has always been a big part of my strategy for success! Great post! Wow, this is totally inspiring! I love that your 19 goals are a mix of personal, practical and work. December 31 feels SO CLOSE so I’m intimidated to set even a few goals. I love goal setting and I always add dates that I hope to complete too! Having a deadline helps motivate me to get moving and stop procrastinating! My biggest goal to accomplish before 2019?? MAKE IT TO 2019!! That’s a big achievement if you ask me! 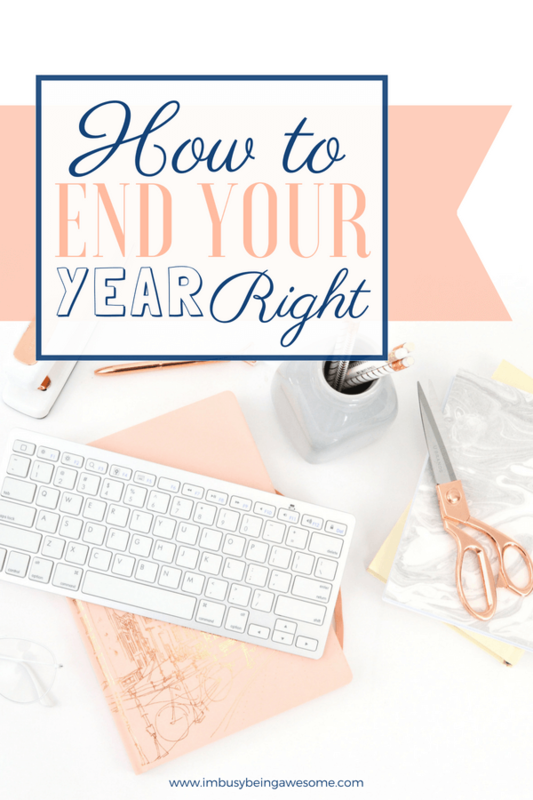 I love how you’re focusing on ending the year in such a strong and positive way! Oh no I have to do that now! I need time to complete my list, but hey I really have to do this! I love this challenge! I’m going to make my own 19 before 19 list. No more procrastination for me! Love the theme of this blog. As a full-time project manager and mom, I have a hard time figuring out how to meet all of my blogging goals in evenings and weekends. Thanks for the motivation and resources! I love the idea of 19 before 2019. I need to make up a list of my own goals for this. What a great way to make the most out of the last bit of the year. I love the range of goals you included, everything from personal to business, passion projects to tasks that will help you with daily life. Great list! I actually love this idea, great motivation to finish they year with a bang! I think accountability is the key!! I have so much decluttering to do as we want to move in 2019! I have a ton of decluttering to do. First up, the basement! It has become the dumping spot for almost everything that I almost feel like I can’t go into the space anymore. Loved your list and has given me some great ideas. I LOVE this idea! Off to go make my list of 19!